The Congress of Deputies (Spanish: Congreso de los Diputados; Basque: Diputatuen Kongresua; Catalan: Congrés dels Diputats; Galician: Congreso dos Deputados) is the lower house of the Cortes Generales, Spain's legislative branch. It is located in the Palace of the Parliament (Palacio de las Cortes, Madrid). It has 350 members elected by constituencies (matching fifty Spanish provinces and two autonomous cities) by proportional representation using the D'Hondt method. Deputies serve four-year terms. The President of the Congress of Deputies is the analogue to a speaker and presides over debates. In the Congress, members of the Parliament from the political parties, or groups of parties, form parliamentary groups. Groups must be formed by at least 15 deputies, but a group can also be formed with only five deputies if the parties got at least 5% of the nationwide vote, or 15% of the votes in the constituencies in which they ran. The deputies belonging to parties who cannot create their own parliamentary group form the Mixed Group.. In June 2018, 41.72% of the deputies were women, being the third European country with more women in the lower house, after Sweden and Finland and same proportion as Norway. The Spanish Constitution establishes in the Article 68.1 that the Congress of Deputies must be composed of among 300 deputies at least and 400 deputies at most. At present, the chamber has 350 deputies which is determined by the General Electoral Regime Organic Law, which was approved in 1985. Deputies per constituency set for the General Election 2016. The Spanish Constitution establishes that the deputies are chosen by universal, free, equal, direct and secret suffrage. The election is held every four years or before in case of snap election. The members of the Congress are elected by proportional representation with closed lists in each constituency, which means they are appointed by the political parties. There are 50 multi-member constituencies for the Congress of Deputies which belong to the 50 provinces of Spain and the two single-member constituencies which belong to two autonomous cities (Ceuta and Melilla). According to the Spanish Electoral Law, each province must elect two deputies at least. In this way, there are 102 deputies already apportioned. The other 248 deputies are allocated proportionally to the citizenships. This distribution can change a bit in each election and it is specified when writs are dropped. After the General Election, seats are assigned to the electoral lists in each constituency. For this distribution the D'Hondt method is used in each constituency separately. This distributes seats to parties in proportion to the number of votes each received in the constituency. A strictly proportional system would result in fractional seats. The D'Hondt method resolves this, in a manner that slightly favors larger parties. Moreover, there is an election threshold of 3%; that is to say, a political party needs at least 3% of the valid votes emitted in its constituency to aim for the seats' distribution. The 5/1985 Organic Law, 19 June, of the General Electoral Regime establishes a 3% minimum valid votes in its constituency requirement (The blank votes count towards the total votes, but the invalid ballots do not count) in order to take a party into account in the seats' distribution in that constituency. The last item is only applied in the provinces which elect 24 deputies at least. At present, this condition is only fulfilled by Madrid and Barcelona. In March 2011, the General Electoral Regime Organic Law was remodeled so that the parties which are not represented neither at the Congress nor at the Senate have to collect signatures to support the candidacy in order to be able to run in the election. 0.1% of signatures of the electoral register in each constituency are needed. Each citizen can only sign once for each candidacy. The Electoral Board will establish the details of the collection of signatures. With this system, the least populated provinces are overrepresented as the population is lower than other provinces which are still awarded one seat, than if the seats would be strictly distributed in proportion to the population of each province. Likewise, the most populated provinces are underrepresented. The large disparity of population between the provinces. Despite the smaller provinces being overrepresented, the number of deputies assigned to each one is small and tends to go to the two main parties. The election threshold of 3% only acts in the provincies which elect more than 30 deputies, that is Madrid and Barcelona. In the rest of constituencies where fewer seats are distributed, the real barrier to enter to the Congress is meaningfully larger. For example, the barrier of the provinces which have 3 seats is 25%. The average of seats per constituency is one of the lowest of Europe. That is because of the use of provinces as constituencies. Consequently, the number of useful votes is very big, that is there is a great number of votes which can not affect to the result because they have been emitted for a political party which has not got representation in the constituency where votes have been emitted. The D'Hondt method slightly favours the biggest parties compared to other electoral formulas such as the Webster/Sainte-Laguë method or the largest remainder method. However, the influence of the D'Hondt method in the bipolarization of the electoral system is limited compared to the factors mentioned above. The size of the Congress of Deputies is fairly small (350 seats, compared to over 600 for e.g. the German Bundestag), together with the aforementioned factors, may favour the biggest parties and a disproportional distribution. The deputies' term of office finishes four years after their election or when the Courts are dissolved, which can take place jointly or separately with the dissolution of the Senate. The dissolution's right belongs to the King who exercises it by petition of the President of the Government after the deliberation of the Cabinet and under its sole responsibility. The dissolution of the Courts also takes place if there is a failed legislature or two months after a failed investiture session, in this case the King dissolves the chamber with the support of the President of the Government. During their mandate, the deputies have some guarantees and privileges in order to carry their responsibilities out according to the Article 97 of the Spanish Constitution. Exercising the autonomy recognised by the Constitution to the Congress of Deputies, the chamber is regulated by some rules established by itself in 1982 and it configures different government bodies to carry the pertinent competencies out. 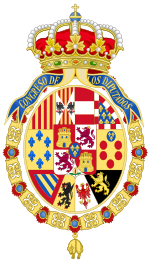 The working bodies of the Congress of Deputies are the Plenary, the Committees, the Permanent Council and the Parliamentary Groups. The Plenary is the central body of the Congress of Deputies which allows the chamber for exercising their choices. It is the reunion of all the members of the Parliament when half plus one of its members are attending the chamber. This body represents the unity of the chamber and it works through the plenary sessions which can be ordinary or extraordinary. The ordinary sessions take place during the two meeting terms: September to December and February to June. They are convened by a calendar which has already been set. The extraordinary sessions are convened at the request of the President of the Government, the Permanent Council or the absolute majority of the chamber. In this kind of sessions a particular agenda is presented and the sessions end when all items have been treated. The Committees are the basic working bodies of the Congress. They are composed of a proportional number of deputies depending on the numerical importance of the parliamentary groups of the chamber. The committees are classified as follows: permanent or non-permanent and legislative or non-legislative. The permanent legislative committees examine and rule the projects and bills. The Plenary of the Congress can confer them full legislative power in relation to a matter so they can permanently approve or reject any project or bill. The regulations of the Congress establish 17 permanent legislative committees. The permanent non-legislative committees have responsibilities not related to the legislative production. The regulations of the Congress establish 3 permanent non-legislative committees and they allow the Plenary to create another ones at the beginning of each legislature. The non-permanent committeesare created with a specific purpose and their themes and duration are beforehand determined by the Plenary of the Congress. The Permanent Council is a body created in order to have a permanent constituted legislative power. It is responsible for safeguarding the powers of the chamber between the legislative sessions (January, July and August) or when their term has finished because of termination or dissolution. In these three cases, the Permanent Council is a temporary extension of the chamber. The Permanent Council is presided by the President of the Congress (Mrs. Speaker). It is composed of a proportional number of deputies depending on the numerical importance of the different Parliamentary Groups. The Parliamentary Groups are groups of members of the chamber which join together depending on their ideology. The Rules of the Congress establish that 15 deputies at least are needed to make a parliamentary group. However, they can make a group if they are at least 5 deputies and they have got at least 15% of the total votes of the constituency where they have run at or 5% of the total votes of the country. The formation of the parliamentary groups takes place at the beginning of each legislature. The deputies who do not enrol in any parliamentary group constitute the Mixed Group. The building, Palacio de las Cortes, has a neoclassical style. It was designed by Narciso Pascual Colomer, and built between 1843 and 1850. It sits by the Carrera de San Jerónimo, in Madrid. The relief on the facade by sculptor Ponciano Ponzano centers on a sculpture of Spain embracing the constitutional state, represented by a woman with her arm around a young girl. Surrounding the pair are figures that represent in allegorical form Justice and Peace, Science, Agriculture, Fine Arts, Navigation, Industry, Commerce and so on. Ponzano also executed two bronze lions for the building's access stairway in a more realistic manner. ^ "Ponzano y Gascón, Ponciano". Gran Enciclopedia Aragonesa (in Spanish). Retrieved 2012-05-28.